The Find Yours campaign reflects more than an advertising shift for Expedia, which in fifteen years has grown to become the world’s leading online travel agency. It is a move away from the commoditized feel of online travel booking, and a move towards the transcendent bliss of the perfect vacation. More than 150,000 hotels are now available through Expedia.com worldwide, and millions of travelers come to Expedia every day in search of the perfect trip. The company’s unparalleled scope gives it a unique perspective on the impact of travel. The Find Yours campaign examines that impact through multiple lenses, showing how travel helps people find their nerve, their curiosity, their bliss, their purpose and their gratitude. The Find Yours brand campaign was helmed by Vic Walia, the senior director of brand marketing at Expedia. 180LA helped develop the “Find Yours” campaign. This is the agency’s first work for Expedia. 180 LA was selected as Expedia’s advertising agency of record in March 2012. Media planning and buying for the Find Yours campaign was executed by TargetCast. Expedia and 180LA have partnered to seek out everyday consumers with amazing travel stories. Those stories will be brought to life via mini-documentaries that star those travelers. Expedia is also building a tool to help travelers bring their stories to life via video, by integrating their travel photos, currently posted on Facebook, into a personalized, digital storytelling video. Bloggers exemplify the transformative power of travel; that power propelled most of them to become bloggers in the first place. Expedia is executing a series of campaigns, of varying scope, with bloggers to celebrate the Find Yours brand campaign. These include mini-documentaries with bloggers from TripStyler and The Planet D, as well as sponsored trips for bloggers to different popular locales, including to Pamplona, Spain, for the Running of the Bulls, to Las Vegas and across the U.S. on a college football tour. As part of the Find Yours campaign, Expedia is also serving as platinum sponsor of Passports with Purpose, an organization dedicated to doing long-lasting good for people who live in the places travelers visit (past efforts include creating two libraries in Zambia, a school in Cambodia and a village in India), and is sponsoring TBEX 2012 – a travel blogger conference – in the U.S. and in Spain. Expedia has created a rich social media campaign that invites travelers to share their photos and stories on Facebook, Twitter and Pinterest. A Twitter photo campaign pits bloggers versus bloggers in an effort to get fans to share photos that exemplify different key words – say, “Innocence,” or “Nirvana,” or “Cojones” – with winners earning a 4-night stay in Aruba at the Bucuti & Tara Beach Resorts. Expedia has also created its first Pinterest contest in concert with the travel blog Wanderlust and Lipstick that invites consumers to create an Expedia® Find Yours™ travel photo board for the chance to win a 4-night stay at Dreams in Los Cabos. Expedia has asked young filmmakers to interpret the Find Yours campaign through a cinematic lens, by creating 2-3 minute short films. 37 filmmakers, aged 13-28, submitted films for consideration. Voting to select the top 10 finalists concluded today. The winner will receive $10,000 and the top three finalists will be integrated into the Find Yours campaign. The Find Yours campaign represents a marketing milestone for Expedia, but is only one of the ways the company is evolving to help travelers have their “Find Yours” moment when they book online travel. The company continues to make extensive improvements to its site, driven by customer feedback. For one, Expedia is making greater use of consumer reviews, through its Insiders’ Select® program and through a recent redesign of the company’s Verified Reviews program, which now allows consumers to write reviews specifically for their like-minded peers. Given strong customer demand for flash-sale and short-term deals, Expedia has greatly expanded its offerings, which now include ASAP A Sudden Amazing Price® deals, live for 24 hours; and Last-Minute Deals, which is a crowd-sourcing travel solution that showcases deals found by other consumers within geographic proximity. 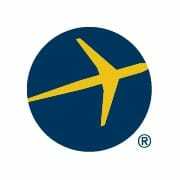 Expedia.com is the world’s leading online travel site, helping millions of travelers per month easily plan and book travel. Expedia.com (http://www.expedia.com/, 1-800-EXPEDIA) aims to provide the latest technology and the widest selection of vacation packages, flights, hotels, rental cars, cruises and in-destination activities, attractions, and services. With the Expedia Best Price Guarantee, Expedia.com customers can get the best rates available online for all types of travel.